Oh it is, with the utmost certainty, that time of year again! Sure there's the Pumpkin Spice Latte movement, but really this is the time for all things apple, and pumpkin and most importantly - cinnamon and nutmeg and cloves and all spice. It is the time of year when our baked goods are warm and spicy and bring you right back to those blessed childhood memories of sitting in your mothers kitchen, the first few weeks of the new school year behind you, and the warmth of the oven radiating through the room. This is the time of year where I crave baking. All of a sudden every thought is of sweet treats and how much time I carve out to bustle in my kitchen with my music blaring. 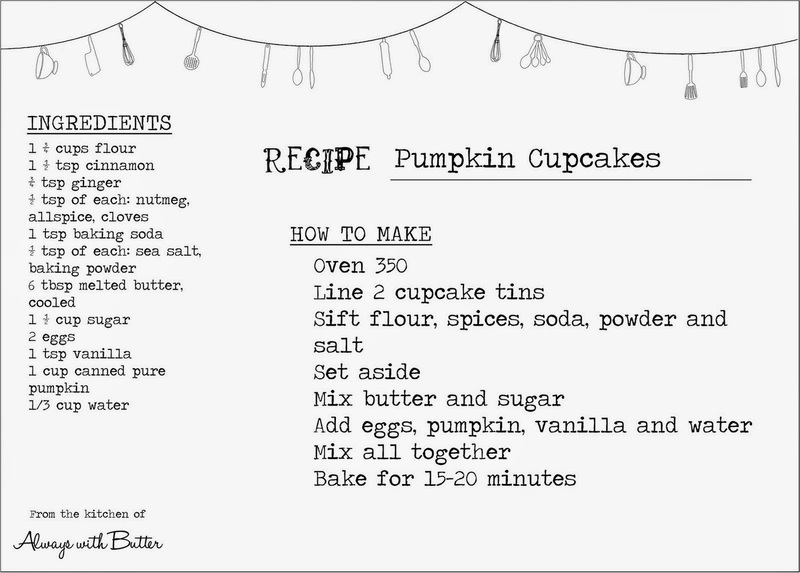 This year I have been all about pumpkin cupcakes. Any and every occasion seems to call for them to be made, and after a few different attempts at finding the right frosting combination I believe I have finally nailed it. Both recipes I've made exactly true to the recipe-rare for me. I didn't tweak or change them at all. The cake is a perfect mix of spices and full pumpkin flavor, mixing the flavors of pumpkin pie with moist cake. The frosting, sweetened with brown sugar, brings its own twinge of caramelization and down home rustic feel. Every bite is full of long shadows, filtered sunlight, crunching leaves and the smell of autumn. Using electric mixer, beat cream cheese and butter in large bowl until fluffy. Add brown sugar; beat until well blended. Add powdered sugar 1/2 cup (scant) at a time, beating well after each addition. Beat in orange juice concentrate and vanilla. Chill until firm enough to spread, about 30 minutes. These little cakes are the best of pumpkin time!